The number of frozen (cryopreserved) embryos has grown significantly over the last decade. In fact, it’s estimated that there are more than 500,000 embryos in frozen storage in the United States that are not being used. In the instance where couples have ‘leftovers’ (because they already completed their families), struggling individuals and couples may get a chance to start the family of their dreams sooner than they thought possible. 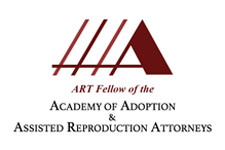 Laws regarding embryo donation vary from state to state and having a knowledgeable embryo donation attorney such as Karen Persis draft or review your Embryo Donation Agreement is a necessity. Some states prohibit donations, but some, like Florida, allow them. It is strongly suggested that the Intended Parents and the Donor Couple included in an embryo donation transaction have independent legal representation from experienced embryo donation attorneys. The acquisition of embryos from one couple to another brings forth many legal and ethical issues to the table. As a dedicated embryo donation attorney, Karen Persis P.A is invested in protecting the rights and the responsibilities of the Intended Parents or Donor Couple. It is imperative that the transfer be done in a legally responsible manner in order to provide a safe outcome for all parties. Attorney Karen Persis represents clients throughout the State of Florida, including Miami, Jacksonville, Tampa, Orlando, St. Petersburg and more.